Ensuring that no tender moment is forced to exist without some bizarro cadences or weird personal choices flittering around the outside, The Hollywood Reporter reports that Steve Coogan and Christopher Walken have both signed on for the cast of Irreplaceable You, a new romantic drama from Veep director Stephanie Laing. Starring Gugu Mbatha-Raw and Michiel Huisman (a.k.a. Daario from Game Of Thrones), the film follows two childhood sweethearts suddenly separated by an unexpected death. Bess Wohl wrote the script. 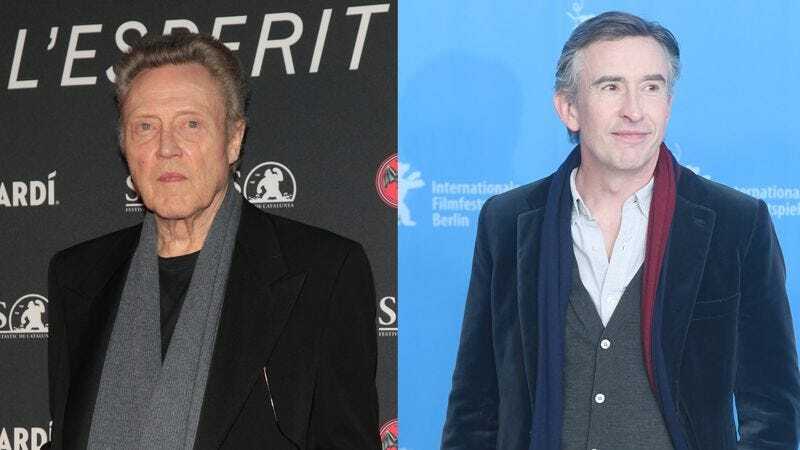 Walken’s most recent roles include a turn in last year’s Eddie The Eagle; Coogan is currently busy with The Dinner and Ideal Home with Paul Rudd, and continues to make noises about a new Alan Partridge series some time soon.